Max Holloway hasn’t tasted defeat in 11 consecutive fights, but he has no plans to chase down the last man to hand him a loss. Conor McGregor beat Holloway by decision back in 2013 before moving on to become featherweight champion two years later with a knockout over Jose Aldo. Holloway has now accomplished the same exact feat after winning the undisputed title with a third-round TKO against Aldo, but he’s not concerning himself with whether or not he’ll ever get the chance to avenge that loss to McGregor. McGregor never actually stuck around at featherweight to defend the title after beating Aldo in 2015, instead opting to engage in a pair of fights with Nate Diaz before winning the lightweight championship last November. Holloway was critical of McGregor’s decision to win the title and never defend it, but if the Irishman ever wants to return to the featherweight division he’s happy to give him a welcome home party. “He’s a different kind of guy. He’s a guy who’s always looking over the fence. He’s always trying to look for the next great thing. 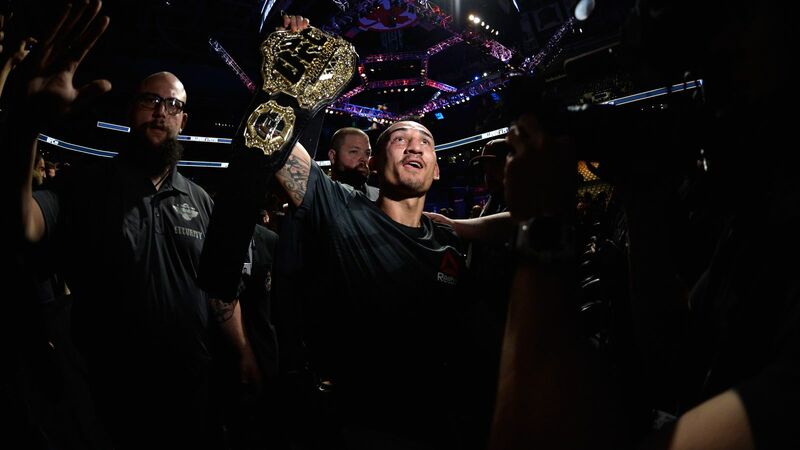 He never really showed as champ, like DJ, Demetrious Johnson he finds this motivation to keep defending, keep defending, it takes a special human being to do that,” Holloway said. “That’s me. I want to defend my throne. One thing is certain, Holloway is happy to answer questions about McGregor when asked, but he’s not going out of his way to pursue a rematch with him now or in the future. Holloway is happy to reign over the featherweight division with or without McGregor’s return. “This guy’s over here always trying to look for the bigger thing and that’s him. Good for him. I ain’t going to chase someone around,” Holloway said. “I ain’t going to talk about someone that ain’t talking about me. He gets to choose his fights. Why am I going to cry and beg him to fight me? Get the hell out of here with that [expletive]. He can beg to fight me now.